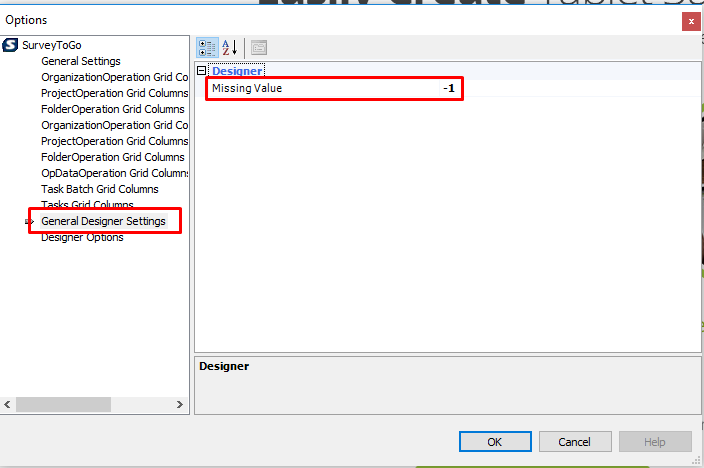 How To Change Default Missing Value of “-1” coding of not answered questions? By default, SurveyToGo puts a “-1″ as the default coding for questions that were not answered. You can put in a number or a text that you prefer. That’s it, you can now export the survey and the new “missing value” will be used instead of the default one. Click OK Any new survey you create will have the new missing value as a default. Previous surveys will need to be changed manually.